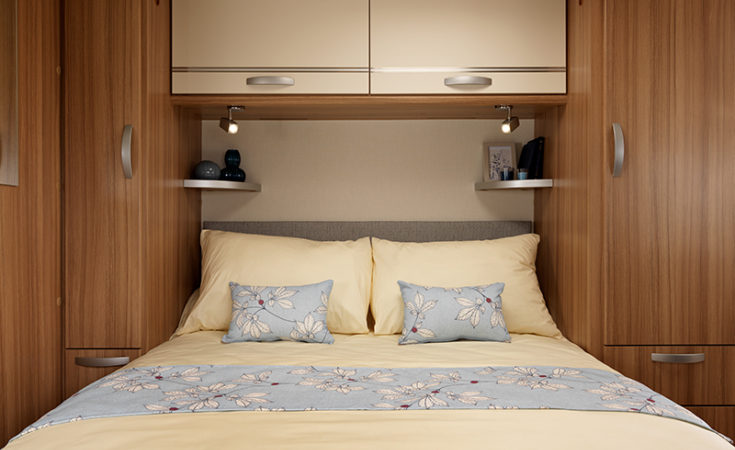 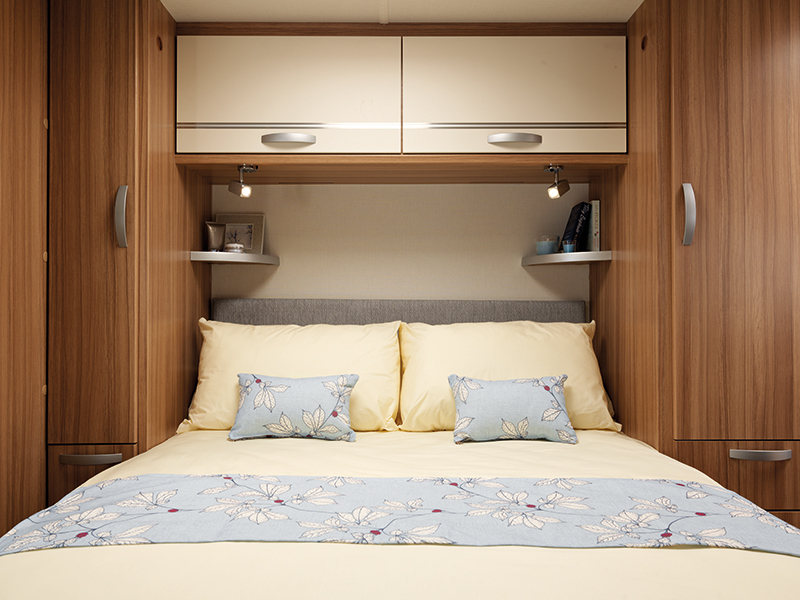 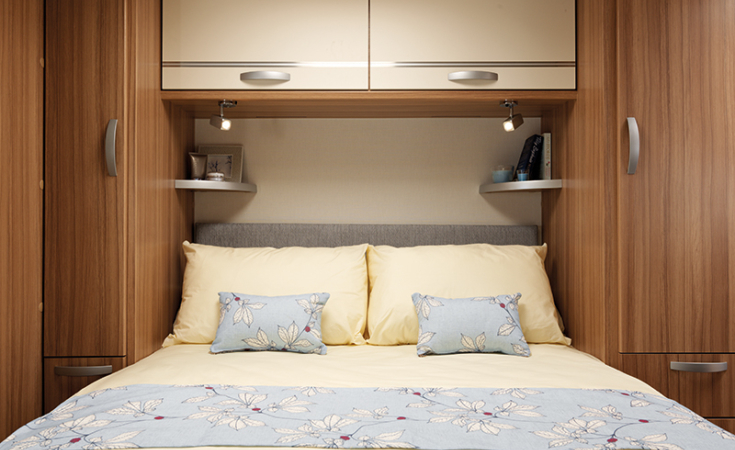 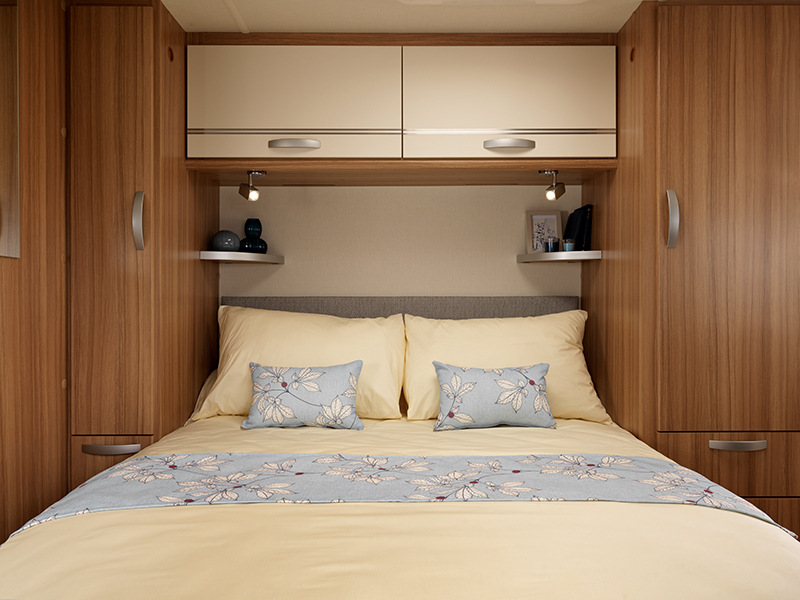 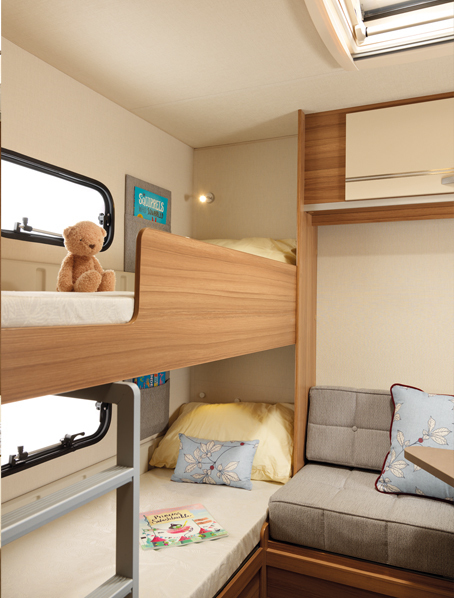 A twin axle with an 'Easy Action' day/night mode transverse island bed with an optional mattress extension. 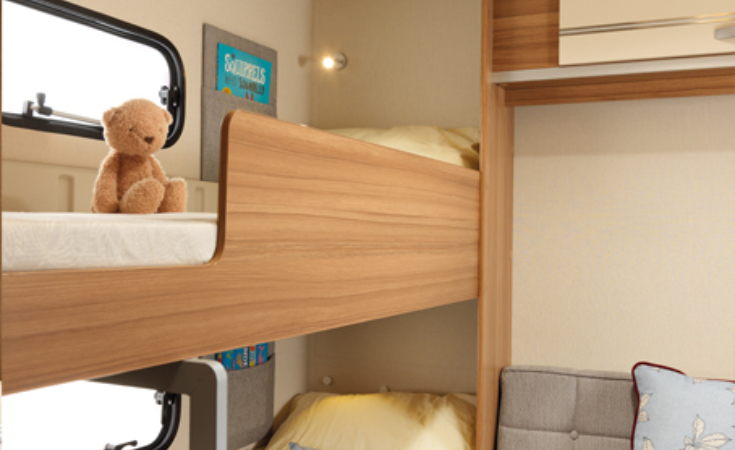 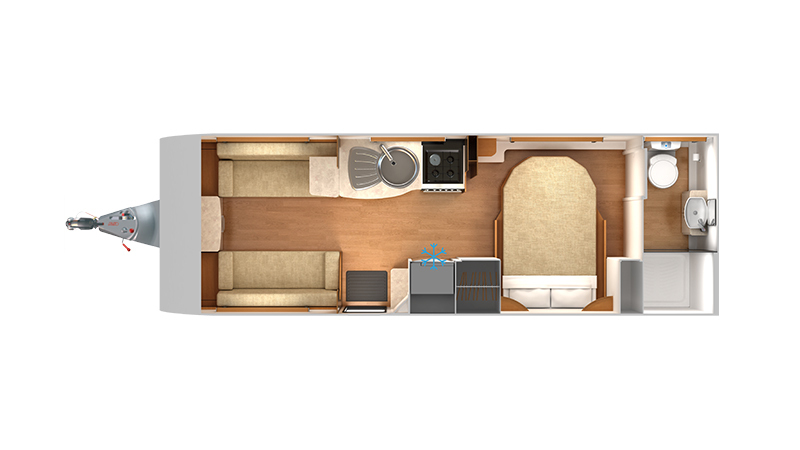 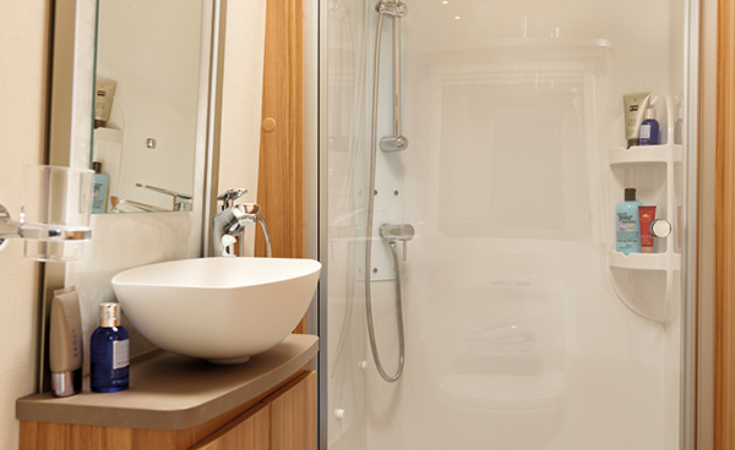 This new twin axle layout has a transverse island bed with 'Easy Action' day/night mode. 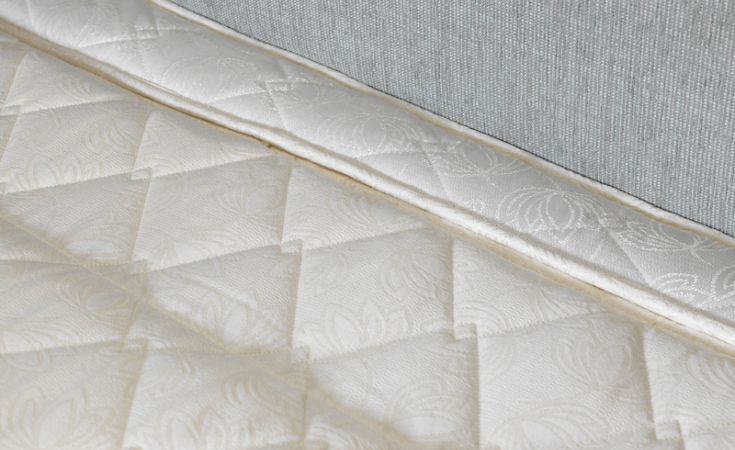 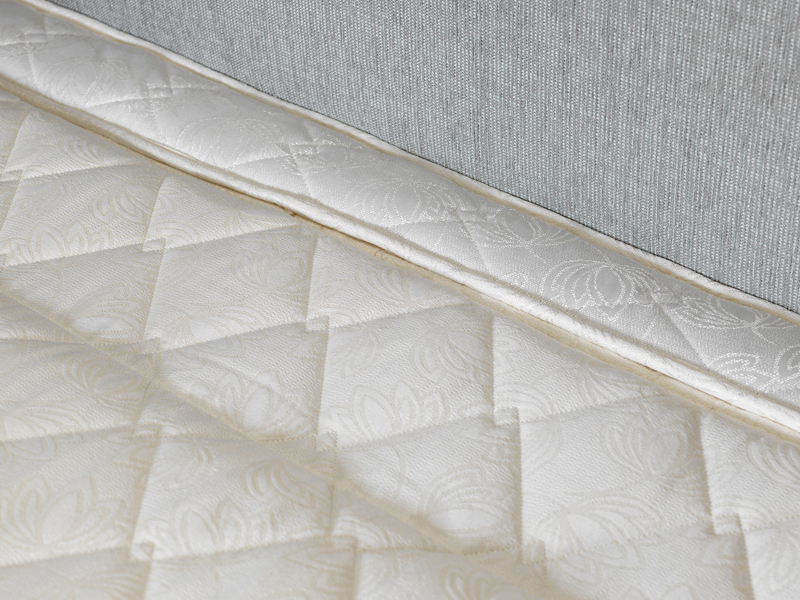 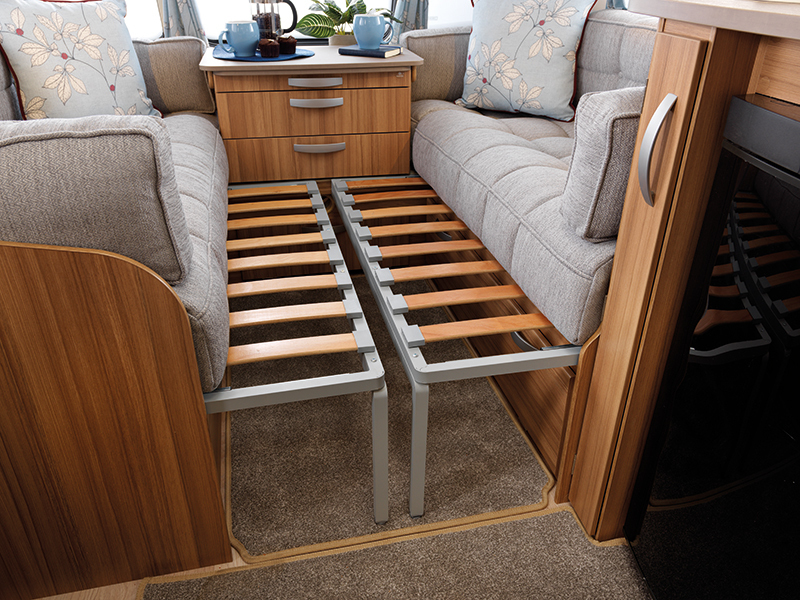 We also offer as an option for taller customers a mattress extension (100mm) which slots in to the top of the island bed mattress to make the total length 6'4". 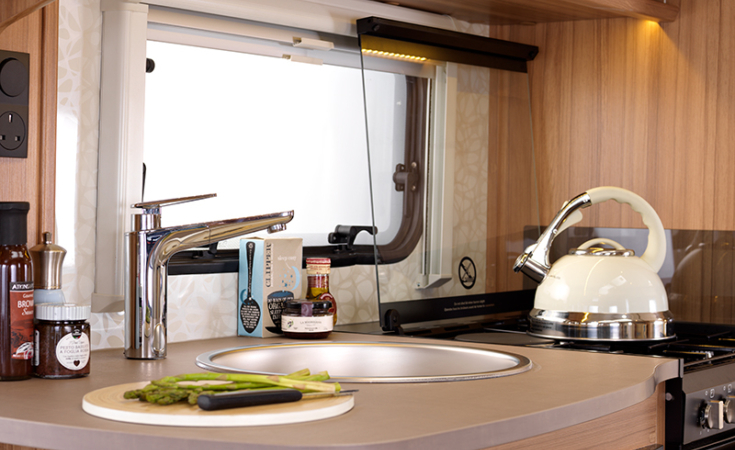 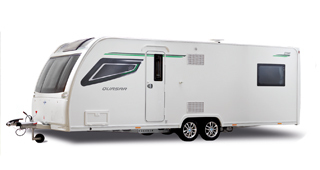 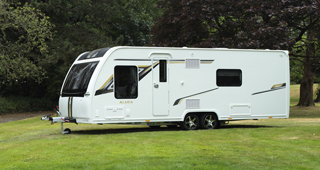 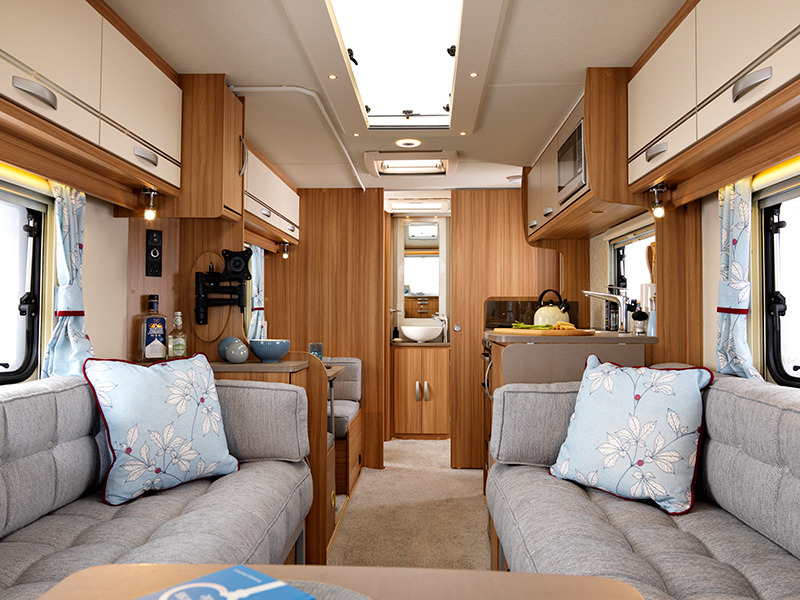 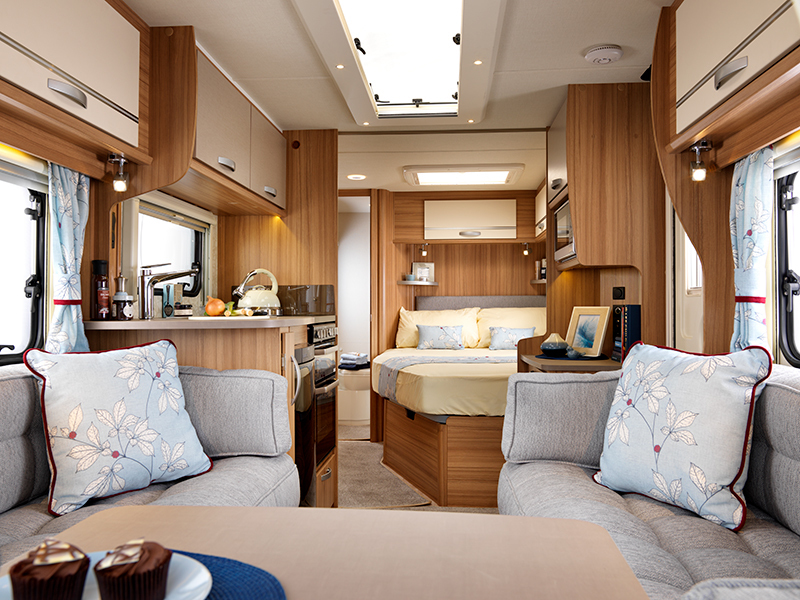 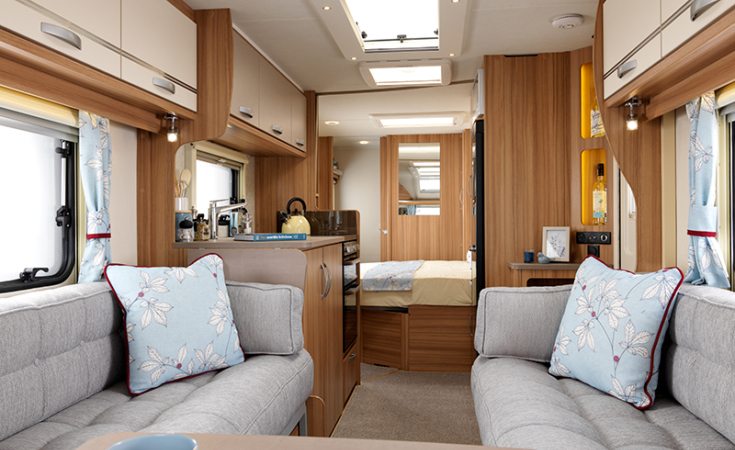 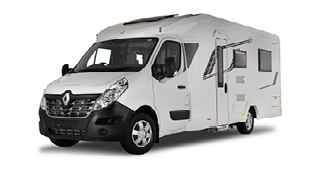 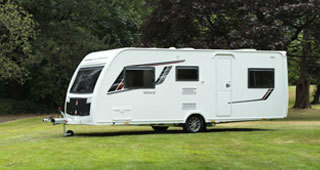 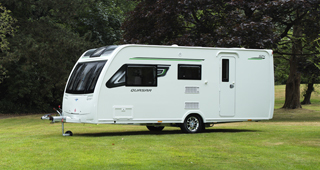 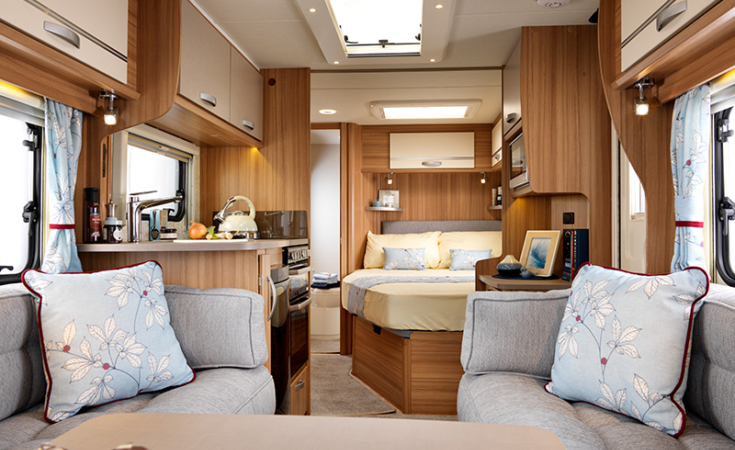 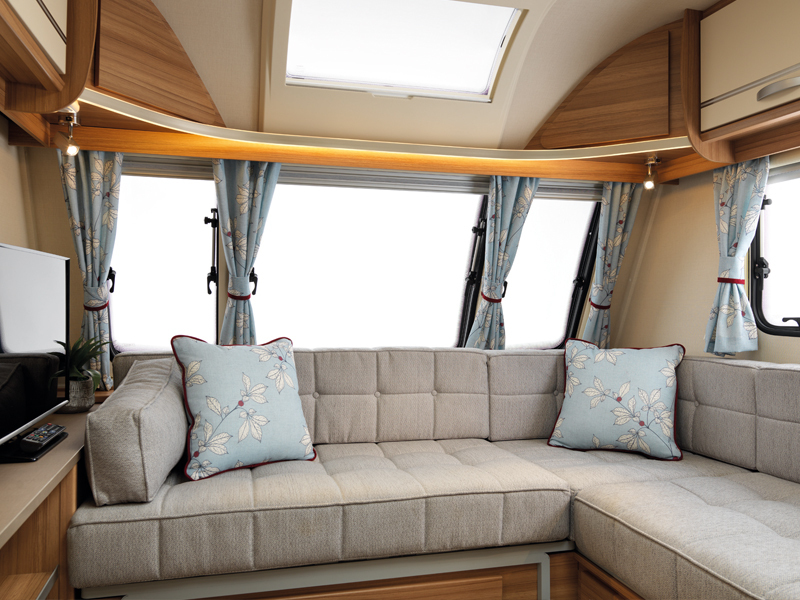 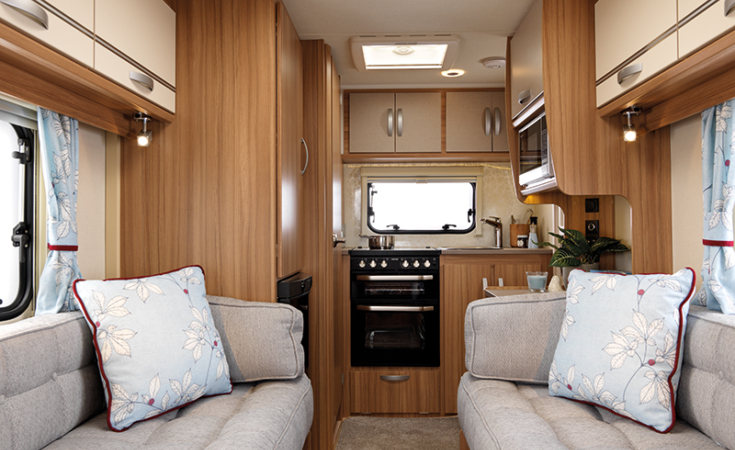 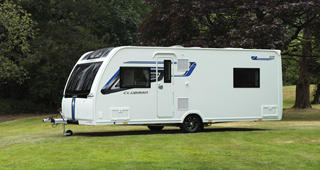 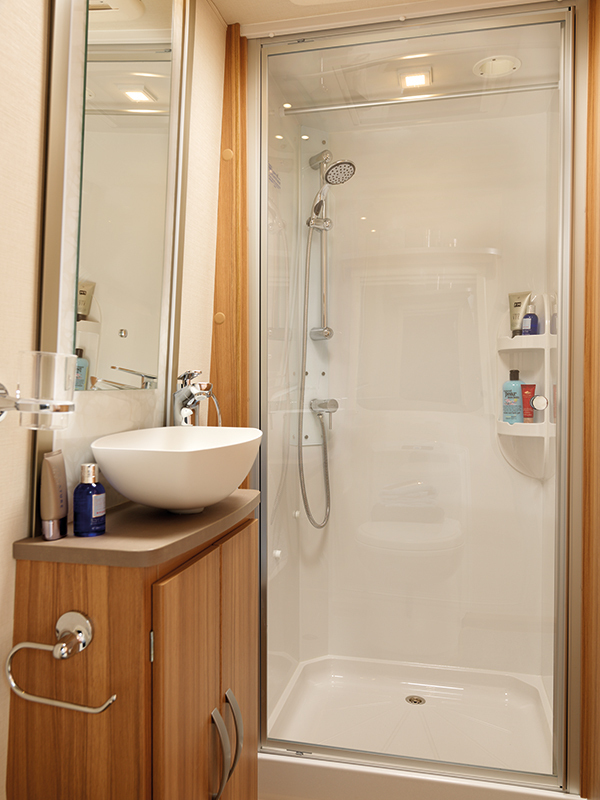 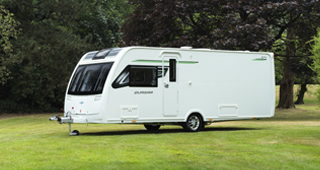 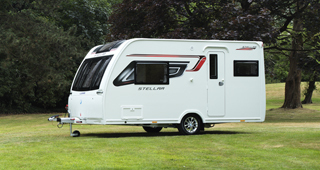 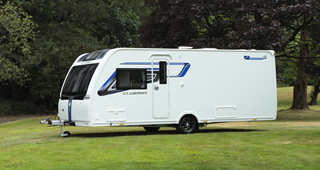 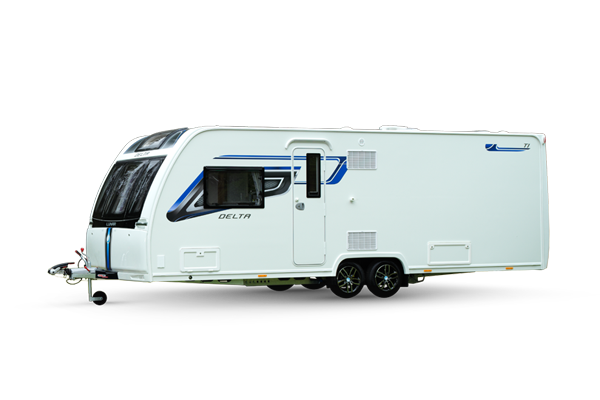 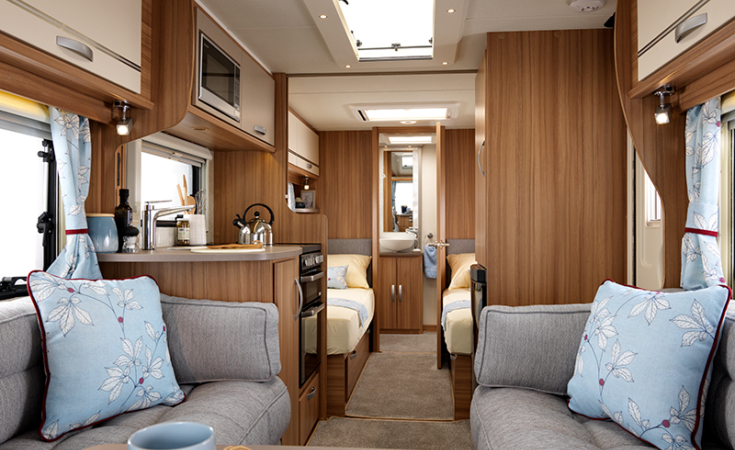 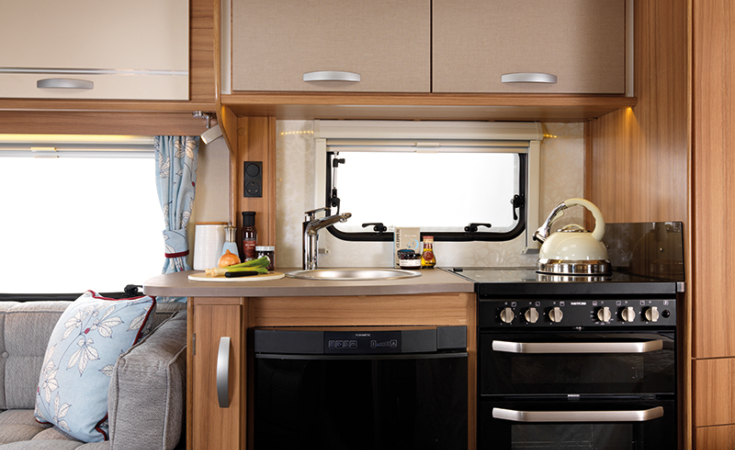 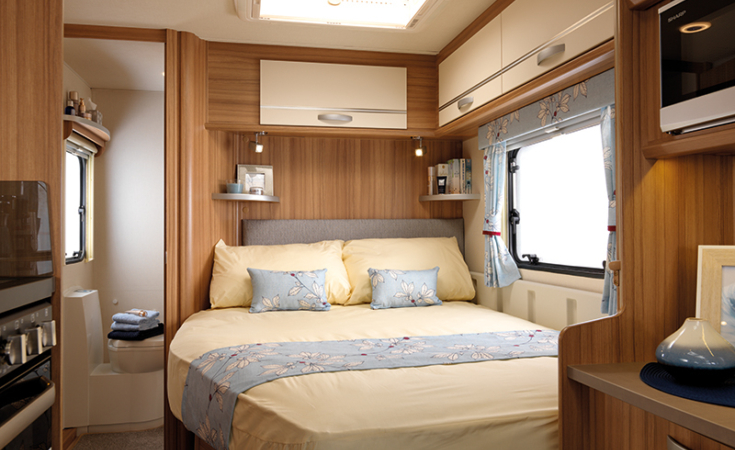 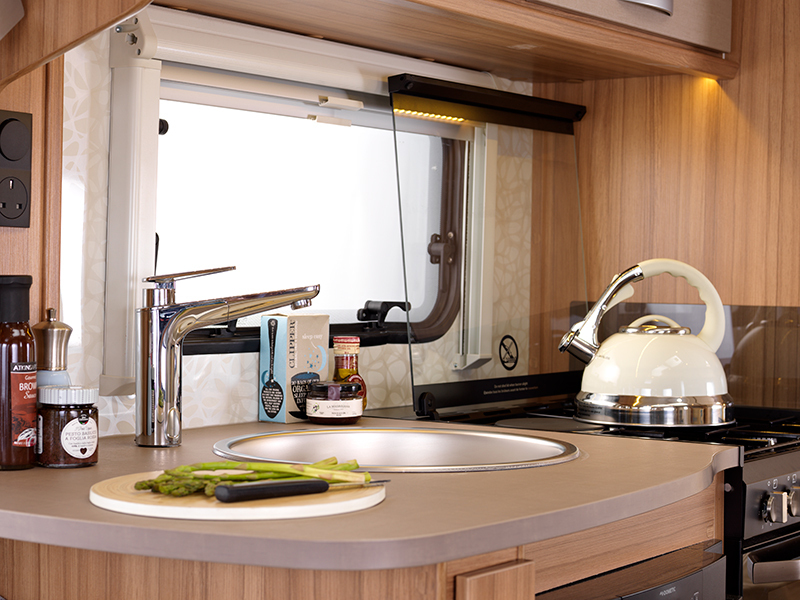 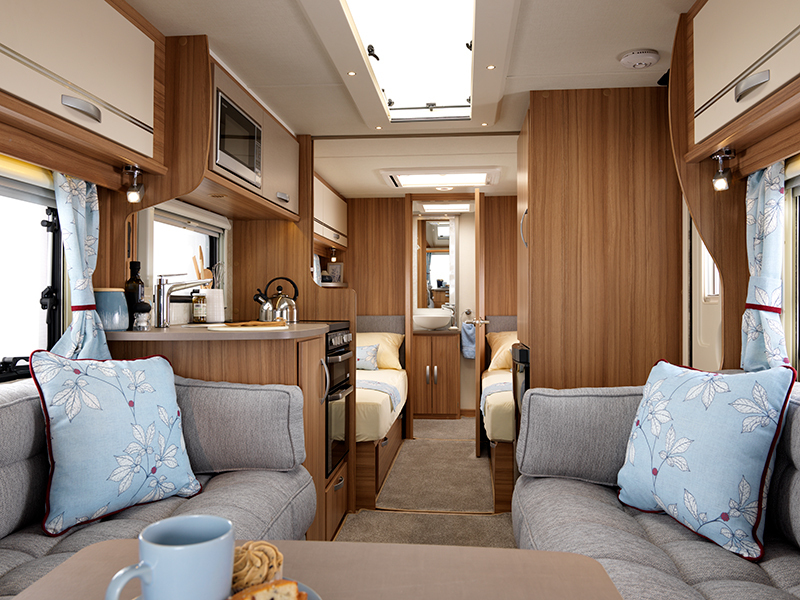 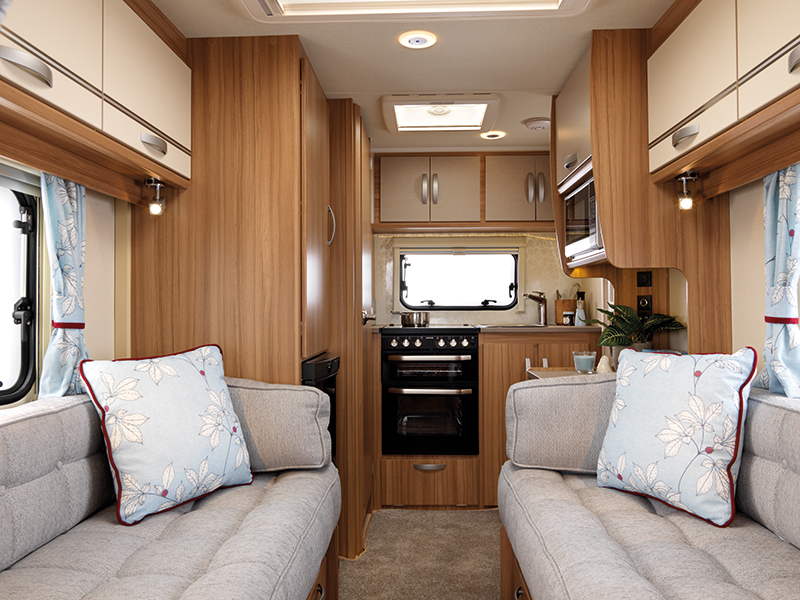 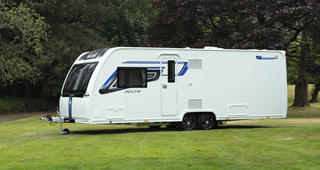 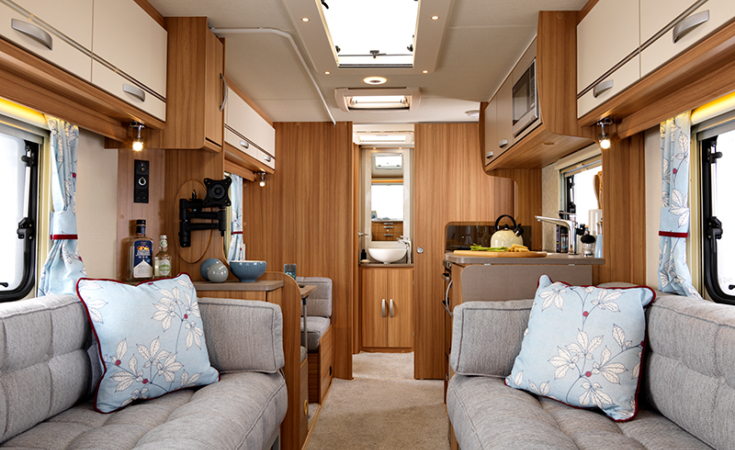 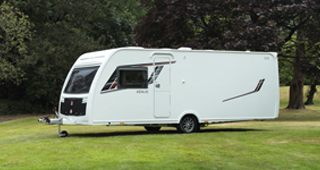 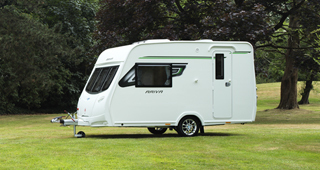 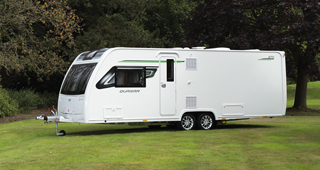 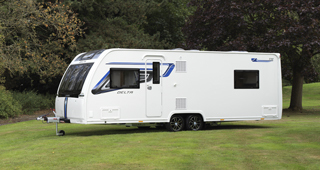 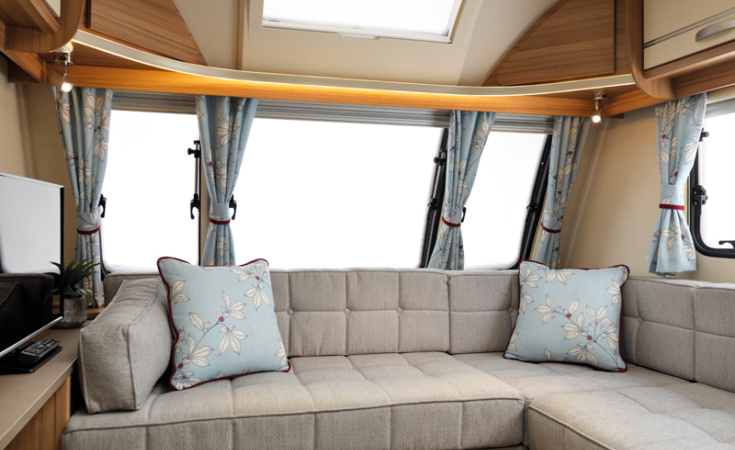 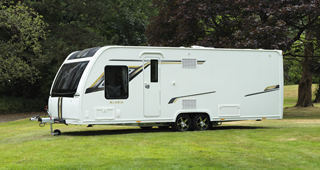 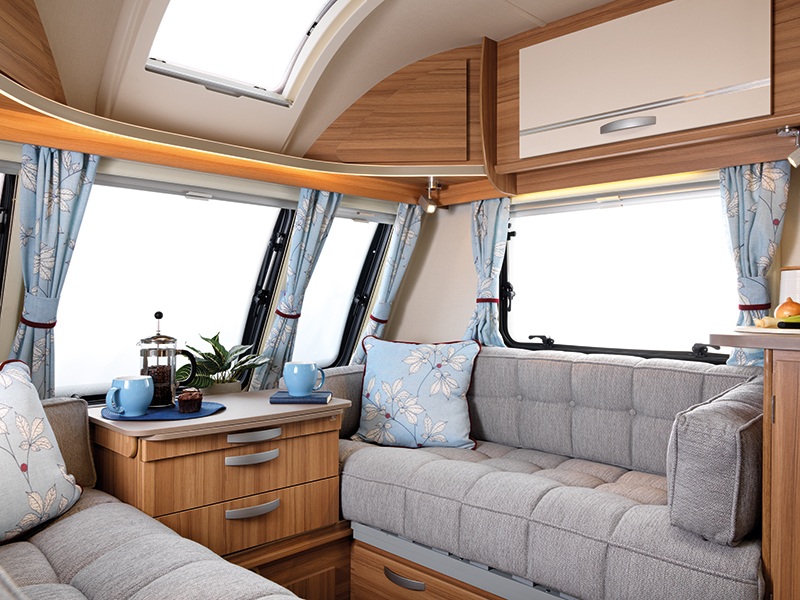 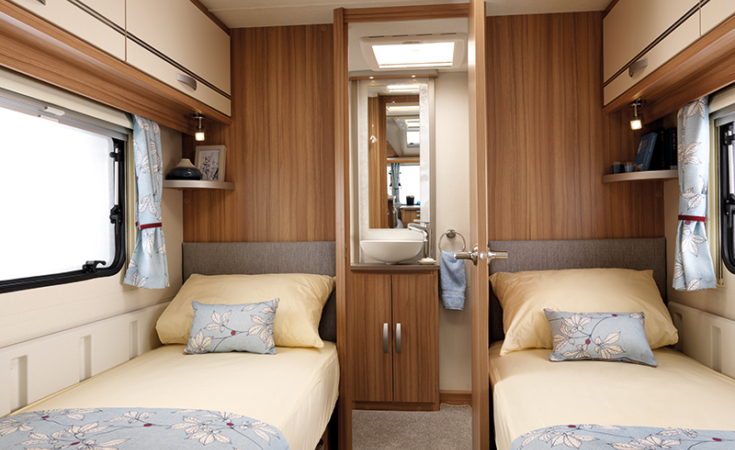 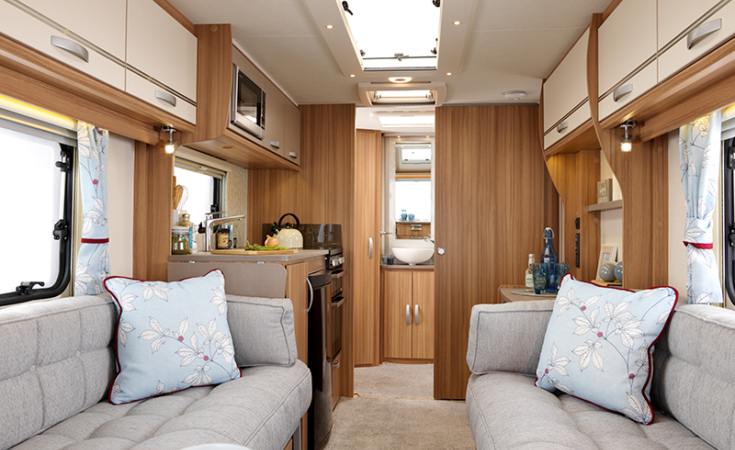 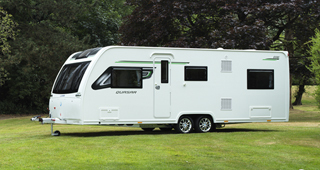 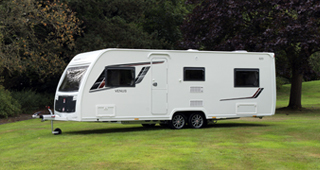 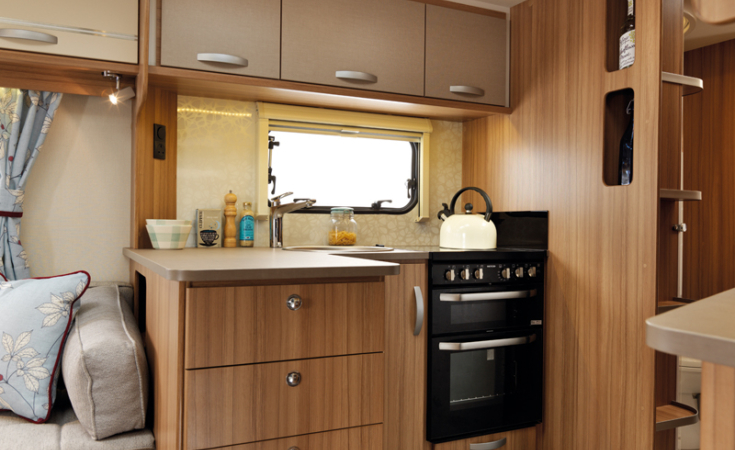 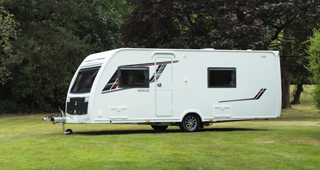 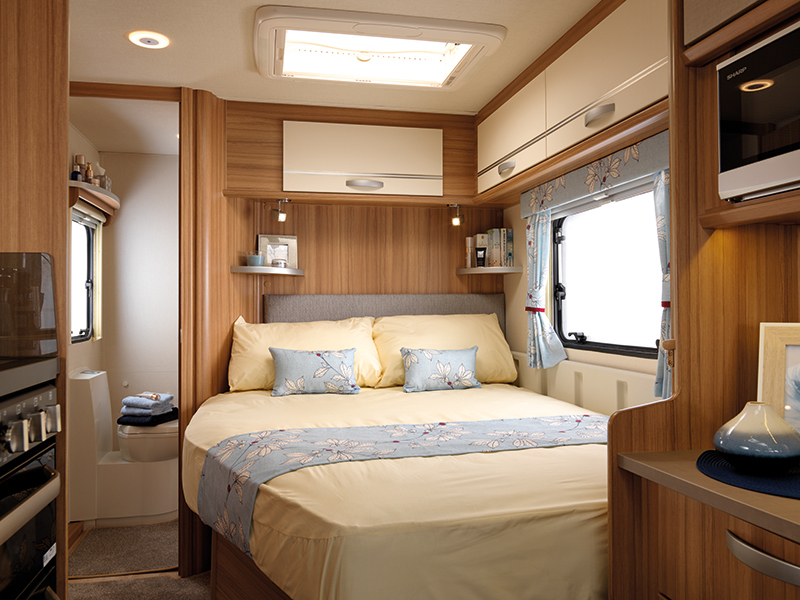 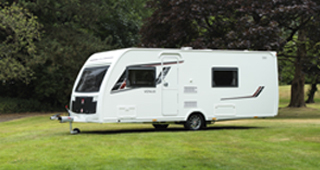 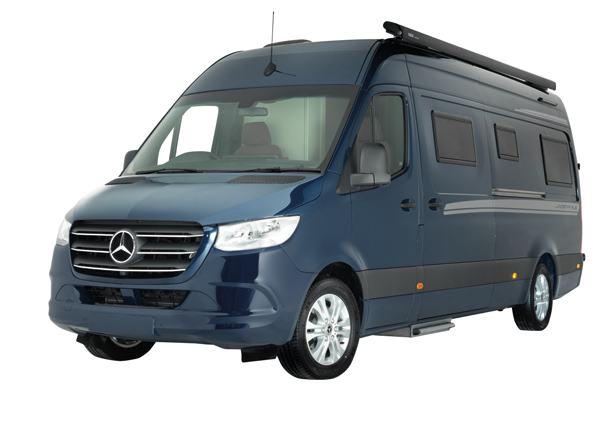 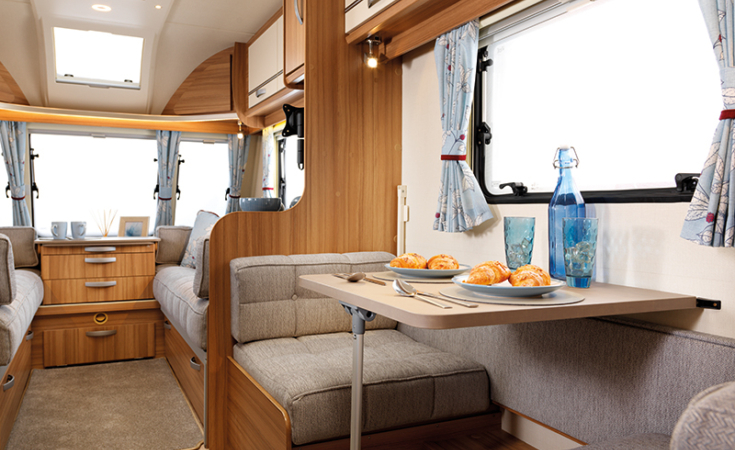 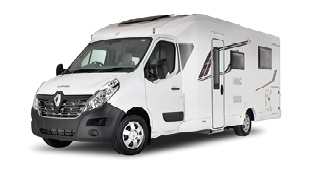 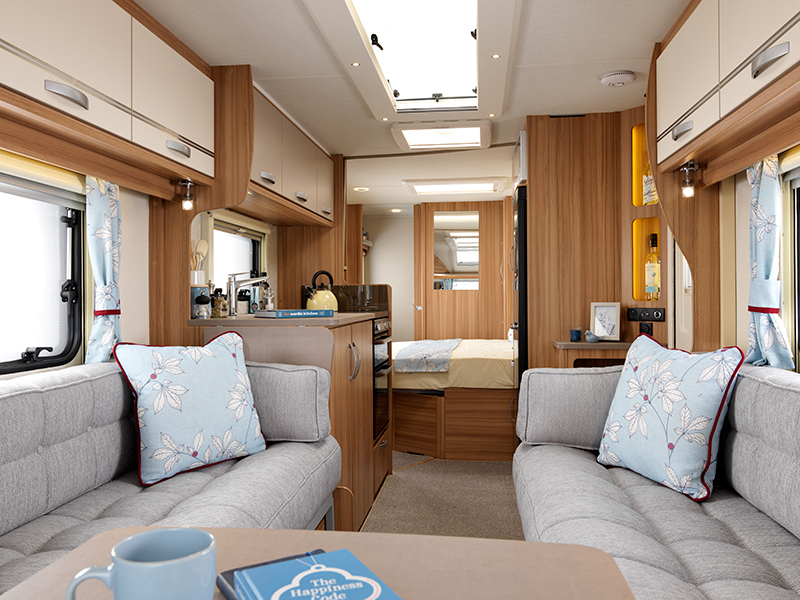 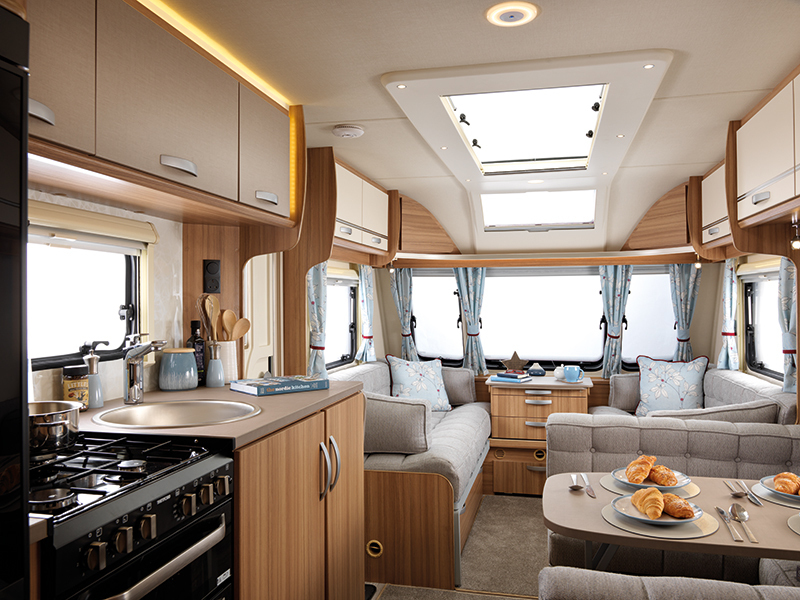 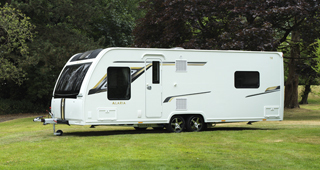 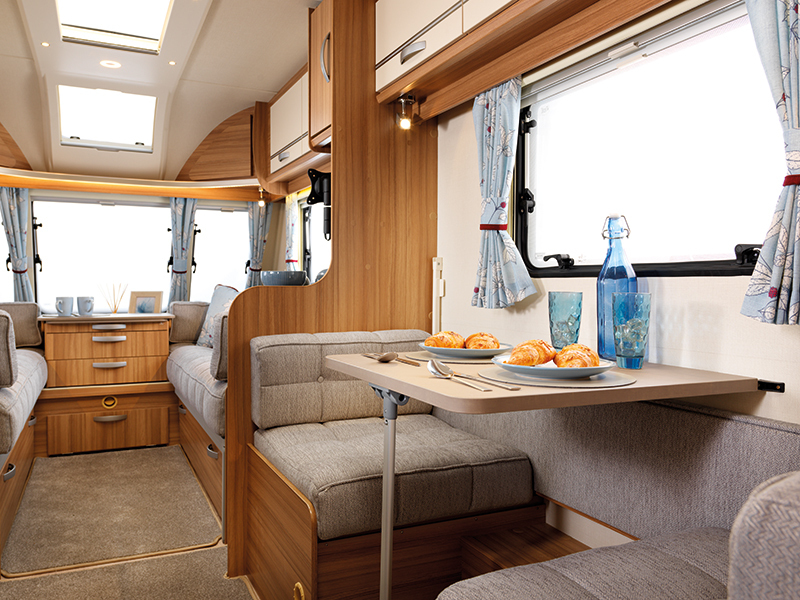 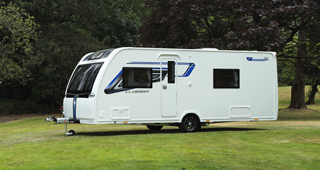 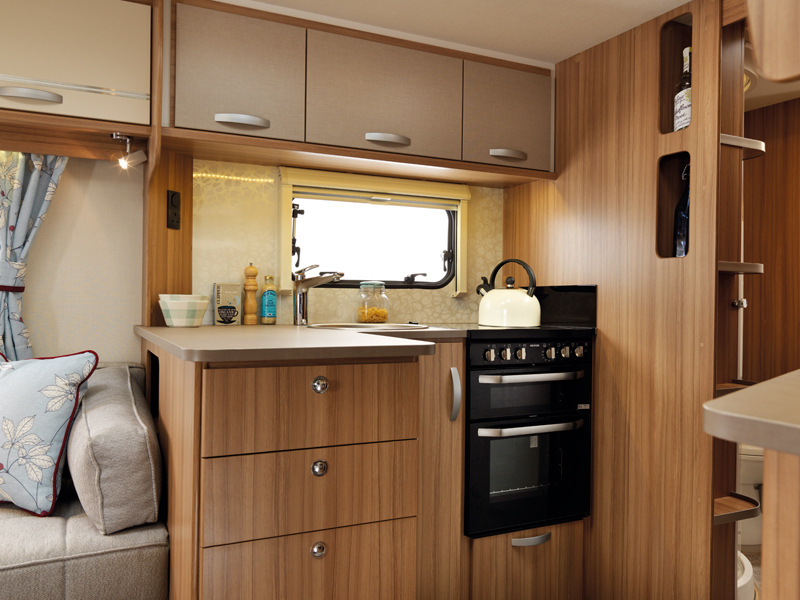 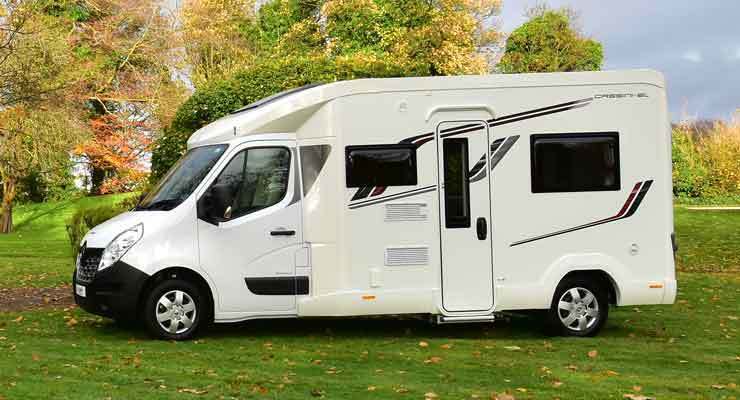 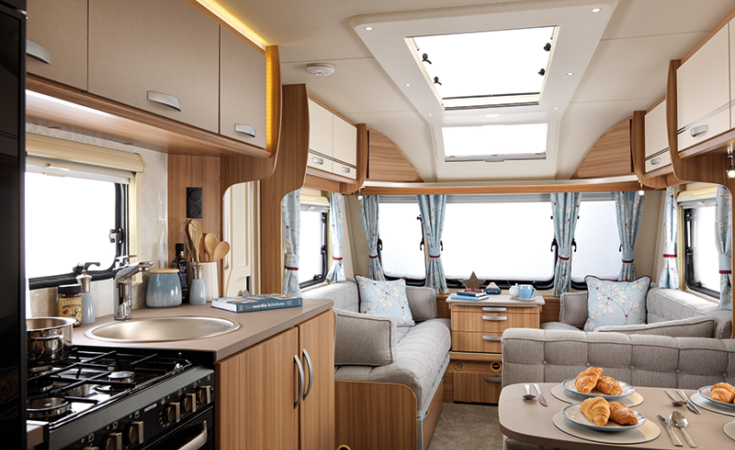 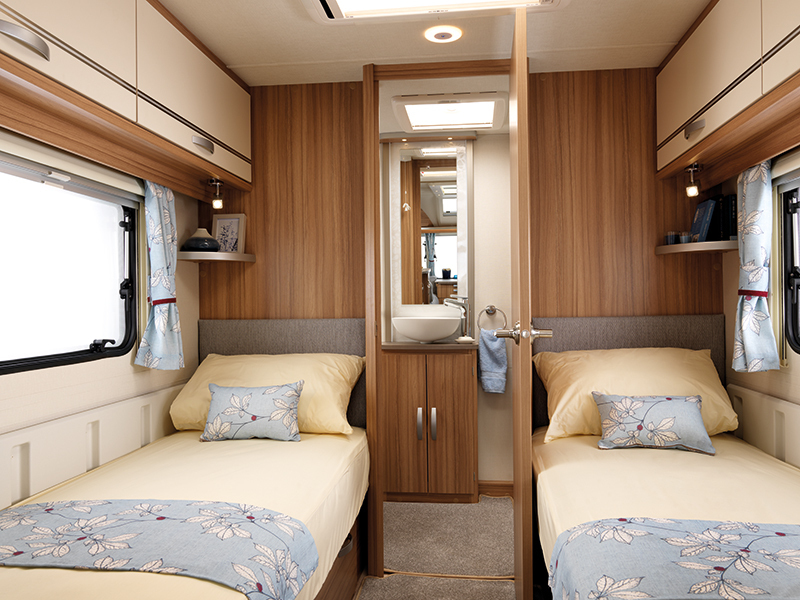 With a sunroof that illuminates the comfort inside and stunning new graphics, this Quasar model is sure to turn heads. 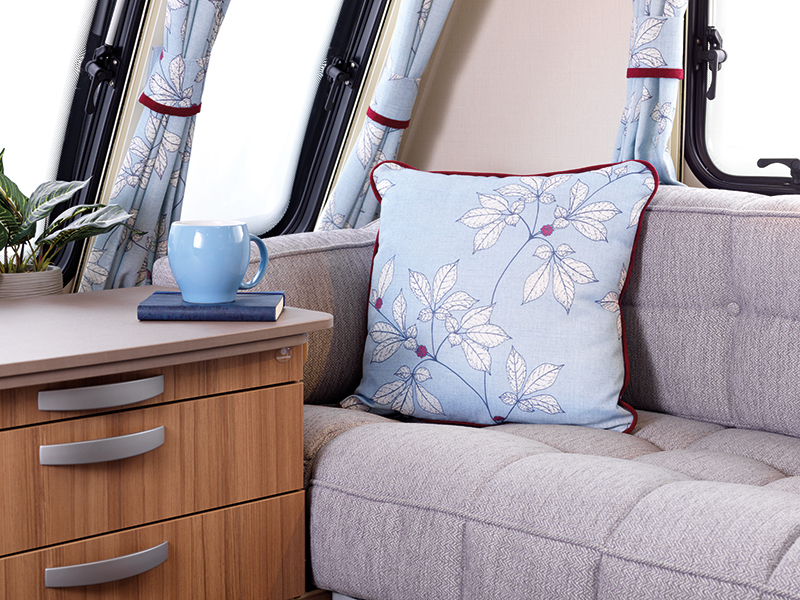 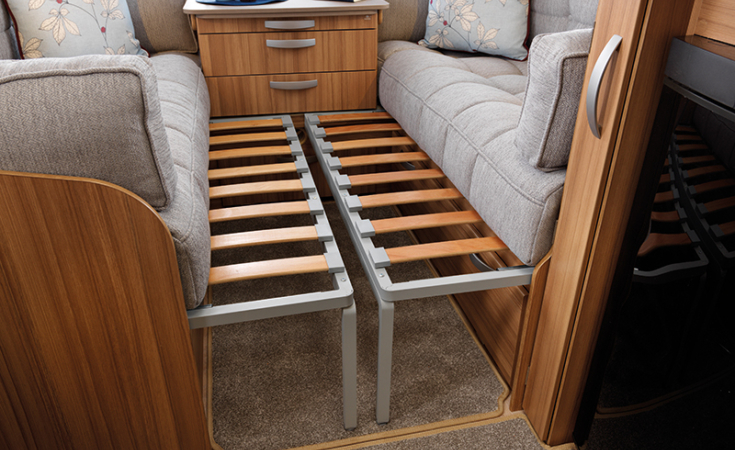 Step inside and you will find a spacious front lounge with 'Easy Action' slide out bed bases. 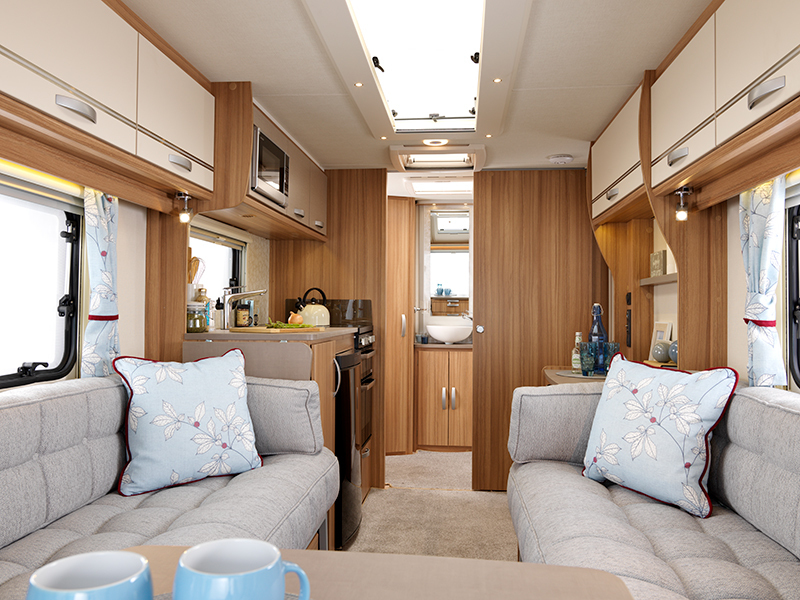 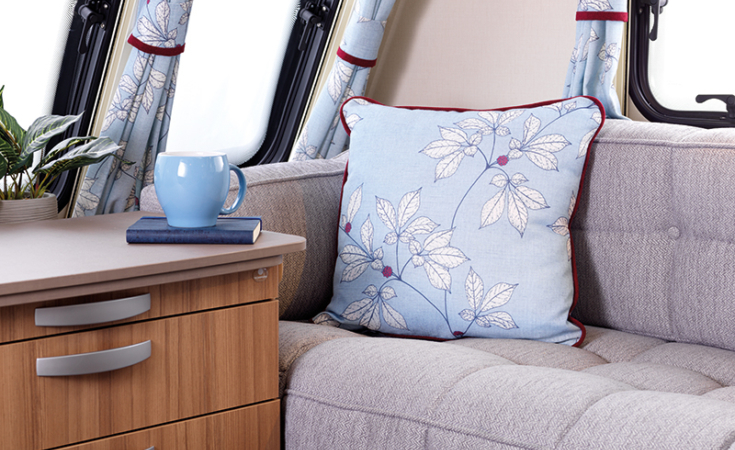 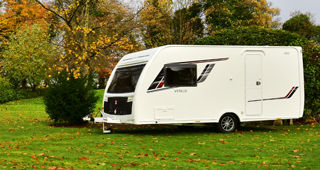 New additions for 2019 include stylish 'Vienna' soft furnishings and contemporary styled ‘Magnolia’ locker doors . 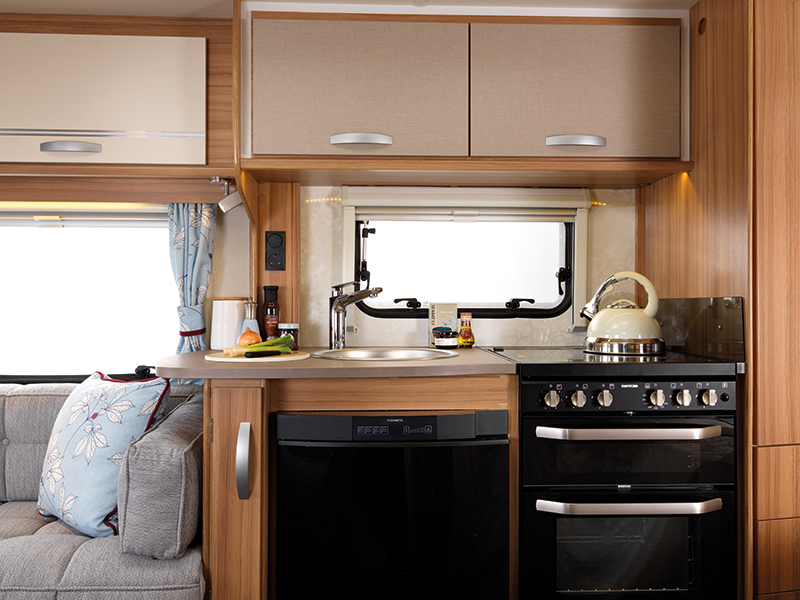 The fully equipped kitchen has a new Thetford K series oven with 4 burner hob, stainless steel sink and a new microwave.